For those who have been actively following my blogs, you would have known by now that I am a strong advocate of gym-free fitness training and mobile fitness workouts here in Singapore. the proper utilization of Portable, Functional Fitness Tools for variety, zest and added dimension to any workouts. For the purpose of this blog, I'll be touching on the last principle - the proper and creative use of functional mobile fitness tools in any training program. As a matter-of-fact, portable fitness equipment form a large part of my training programs here in Singapore. And in order to make sure that I am indeed truly equipped with the BEST, with the "cream of the crop" of portable tools , I have in place a system of checks and criteria when selecting fitness tools for use with my clients. Tubings and bands are two of the most affordable and adaptable training tools you can possibly find anywhere. With their unique elastic properties, varying resistance levels, and ability to work in multiple planes of movement, resistance tubings and exercise bands are simply perfect for total body functional workouts. Add to that their low cost, portability and convenience, you won't find it hard to see why they are one of my all-time favourite bring-along fitness tools for clients' workouts. Another one of my favourite training tools has got to be the Suspension Trainer. So named because it leverages upon our own body-weight and gravity - via a system of suspension- to engage our bodies in functional movements and total body exercises. And the great thing about suspension training is that it is extremely versatile: by a mere change in your body position, you can either increase or decrease the difficulty level and/or intensity of any given exercise in a blink of an eye. As such, it benefits clients of all fitness levels (from beginners to pro athletes), on top of having the added advantage of engaging our CORE at all times. Its ease of set-up, and endless range and angles of movement, also add to its attractiveness as a great training tool. 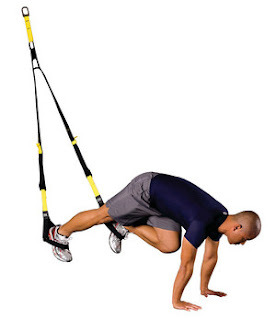 The Suspension Trainer Is Great For Full-Body Workouts. Medicine balls also rank among one of my favourite training tools. Versatile, portable and convenient, medicine ball training helps to make workouts fun, interactive and effective for all types of clients - regardless whether they're beginners or serious athletes. Superb for total body conditioning, medicine balls also have an added advantage over other training tools: in that they can be thrown or slammed, thus making them great for power training and for developing all-round explosiveness. The kettlebell is another extremely versatile and portable tool that can be used for all-round fitness development. As kettlebell training uses virtually the entire body for every single movement pattern, it is a great functional fitness tool to use for developing strength, endurance, balance, coordination and overall fitness. Even with just one single kettlebell, you can still get an intense and effective workout from it by tweaking and adjusting the various training variables surrounding it. There you have it. My list of favourite portable fitness tools for a gym-free training approach. Of course, there are some other portable, mobile training tools out there in the market that I did not mention above, which may also serve as great training tools for total-body fitness workouts. 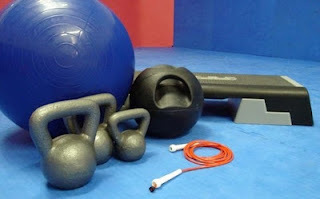 However, in my humble opinion, the equipment mentioned above are probably some of the BEST, if not the BEST, tools for the purposes of our gym-free fitness programs. Till the next time, take care and GOD bless!